I love candles. I love them even more now that I have a home. I never use to invest in them. I thought they were only necessary for romantic baths, curing a hard day at work, or airing out the smell from cooking all day in a small condo. I have a total different view of candles now. They are THE most necessary accessory to any home! They are so darn pretty, and smell incredible. I’ve honestly got candles in every room in my house (literally, I just counted them). I want to thank Samantha (see her food blog) for introducing me to Charmed Aroma. 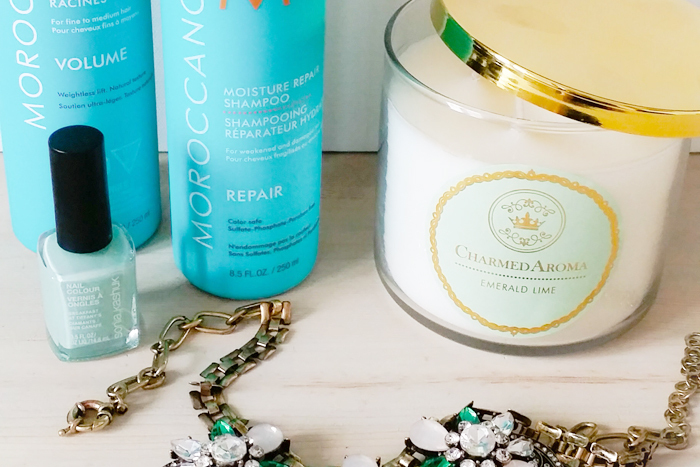 Not only do their candles smell incredibly yummy and decadent, but each candle contains a surprise piece of jewelry worth anywhere from $10 to $5,000!!! 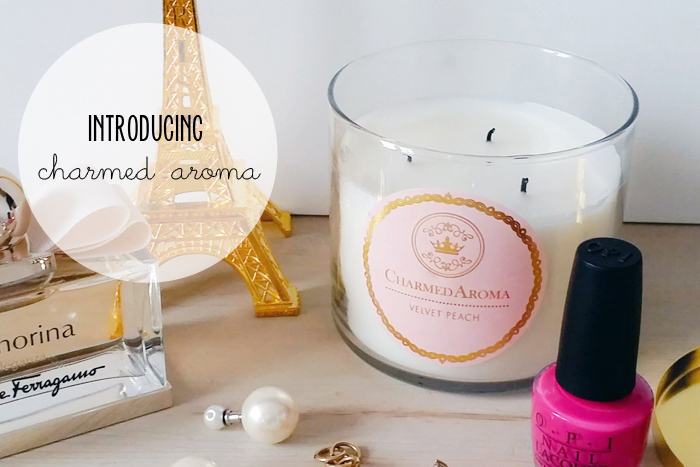 I had the pleasure to infuse my home with two of Charmed Aroma’s candles – Velvet Peach and Emerald Lime. 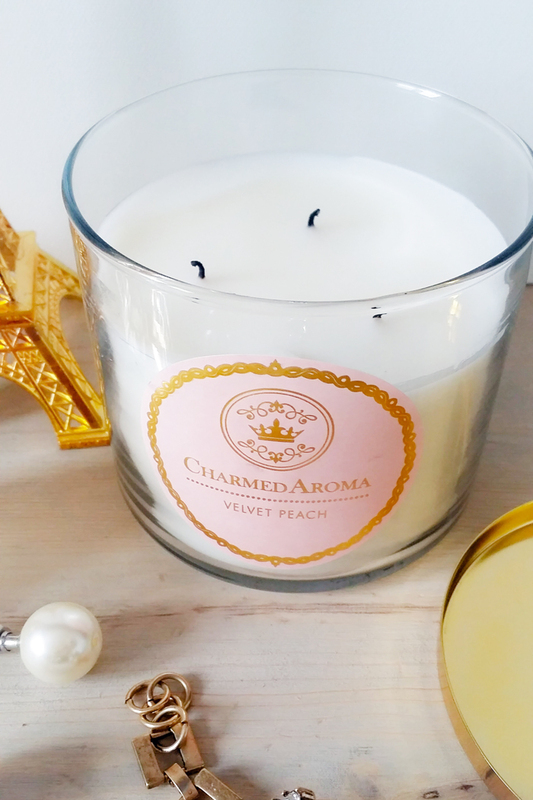 Velvet Peach offers a delicious fruity scent, while Emerald Lime is extremely refreshing. Each candle is $25.00, made from a quality soy wax blend and 100% cotton wicks. Read further to see how it works! I haven’t yet reached my hidden gem yet, but I’ll be sure to unveil on Instagram, so be sure to follow along! I hope I get a ring over $1,000! 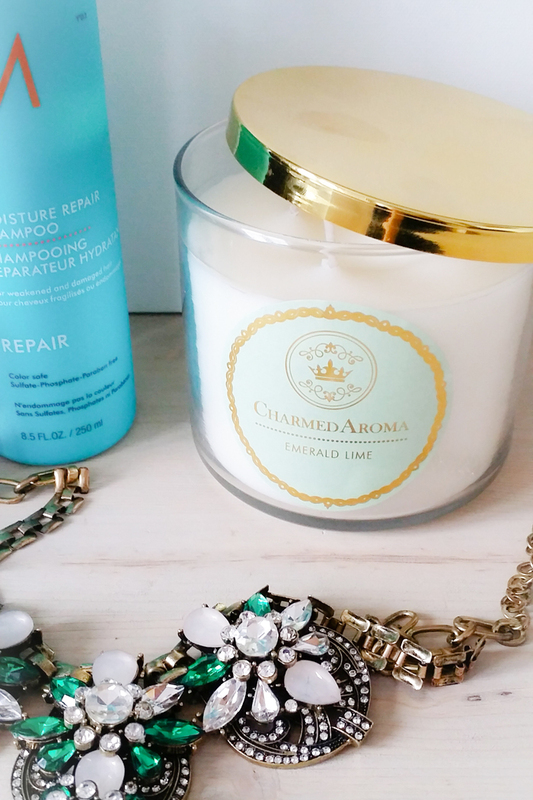 Purchase candles online at Charmed Aroma. Also, necklace shown above is my Shop for Jayu pick of the month, be sure to use promo code “SECRET14” to get 15% off your entire purchase!